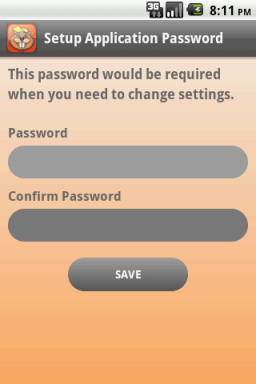 Easy Logger - Mobile app thats logs texts and calls from any Android phone! This is arguably the only free SMS tracker app that also tracks phone calls and sends out emails directly from the phone. This Google App was created using Eclipse Helios to support the app on phones that are Android 2.2 and above. The interface was intentionally kept sparse for easy usage as well as to keep it devoid of ads and unnecessary options. During the creation of the app care was taken to ensure that the bandwidth usage is minimal, each report sent out being lower than 3 kbs in size. In essence, the app is a simple design and practical asset for tracking all phone calls made and all texts exchanged through sending out a well formatted summary at the end of the day. Easy Logger has been a hit worldwide and has enjoyed 10,000 downloads since its creation.